Bison Books – an imprint of the University of Nebraska Press – have as part of their Frontiers of Imagination series reprinted Lost Worlds and Out of Space and Time, two classic collections of Clark Ashton Smith short stories, in nice paperback editions with new introductions by Jeff VanderMeer. This is important, and a reason to celebrate: Smith is in many respects the “missing member” of the Weird Tales triumvirate of the 1930s. Conan the Barbarian is a uniquely iconic and controversial figure, enough so to ensure that Robert E. Howard’s work has remained well-known, if not necessarily well-loved. Lovecraft’s name has been invoked by just about every important horror writer for the last seventy years, and Cthulhu has become a beloved (if somewhat played-out) geek icon. 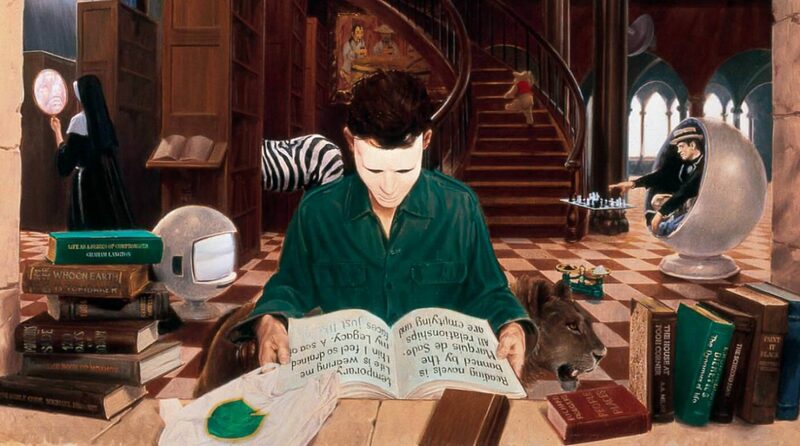 Smith’s work, meanwhile, has remained frustratingly obscure, often languishing out-of-print, despite the fundamental importance of his work to fantasy and science fiction. The stories of CAS were major influences on Jack Vance, especially with regards to Vance’s first Dying Earth stories. The Dying Earth, meanwhile, deeply impressed Gene Wolfe, and inspired The Book of the New Sun. And Smith, Vance and Wolfe, between the three of them, have influenced just about every SF/fantasy author you could care to name. If Smith’s work has been neglected, though, it has at least remainedrelatively unspoiled. Lovecraft’s reputation was damaged for decades by third-rate pastiches written by August Derleth and published under Lovecraft’s name in order to promote HPL’s work (as well as Derleth’s personal theories about the Cthulhu Mythos, which aren’t even slightly supported by Lovecraft’s own writings). Howard’s Conan stories were heavily revised and, in some cases, rewritten by L. Sprague de Camp and Lin Carter, the unaltered texts remaining out-of-print for years, and there was even a point where Conan stories by other authors were flooding the market while Howard’s writings were out-of-print. Smith avoided this fate through the simple expedient of not dying: unlike Lovecraft and Howard, he lived to see the first mass market anthologies of his work published. 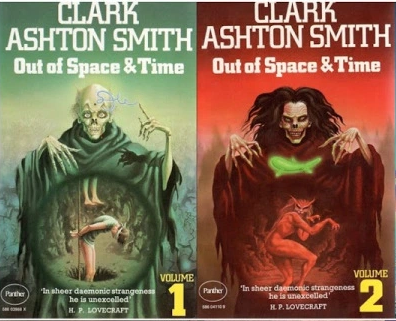 Smith was the third author – after Lovecraft and August Derleth – to be published by Derleth’s Arkham House publishing firm, and in a series of six volumes (Out of Space and Time, Lost Worlds, Genius Loci, The Abominations of Yondo, Tales of Science and Sorcery and Other Dimensions) they would publish a complete collection of his SF, horror and fantasy short stories. As the first two volumes of this set, then, the two Bison Press volumes are both ideal introductions to his work and important summaries of it.